One of the ways in which government and the arts work together is through the government's cultural diplomacy programme. Cultural diplomacy involves the use of the arts to build New Zealand's international reputation. Major sports events are often accompanied by cultural performances. 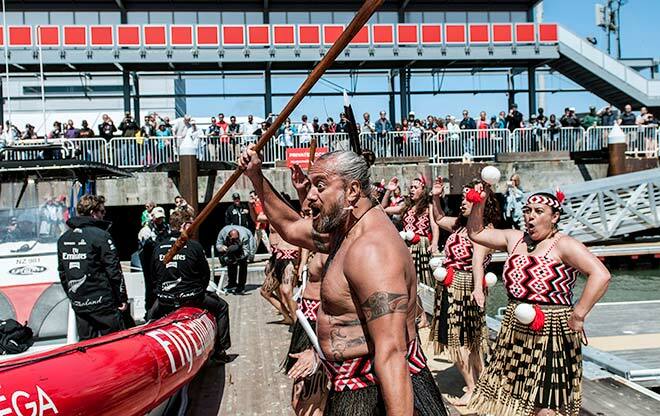 Here, kapa haka group Te Waka Huia perform a haka on the first day of racing at the Louis Vuitton Cup in San Francisco on 7 July 2013.